Caregiving is an intense responsibility, especially for families who care for a loved one with Parkinson’s disease. Parkinson’s disease is a progressive illness characterized by uncontrollable movements and tremors. It may affect a person’s speech and daily behaviors, and will likely get worse with time. The physical and emotional toll this takes – both on the patient and his loved ones – is extreme. Spouses of Parkinson’s patients report feeling tired, stressed, hopeless and easily overwhelmed. Fortunately, respite care can provide much-needed relief for these individuals. Utilizing a reliable home care software program and home care system will also benefit Parkinson’s patients and their caregivers. Spouses and family members of Parkinson’s patients often feel frustrated and hopeless. The unexpectedness of the illness catches many off guard and they feel ill-equipped to handle the disease and its many challenges. Feelings of anxiety, resentment, guilt and fear are common. One of these emotions alone can cause significant stress, but when you combine all of them – often on a daily basis – a person can quickly become overwhelmed. Thankfully, the sophisticated home care system and home care software ClearCare has developed is designed to ease the burden of family caregivers and provide remarkable relief. Seeking out support and assistance through respite care is a key way families can successfully cope with the challenges of Parkinson’s care. Although respite care can take many forms, the concept remains basically the same: sharing caregiving responsibilities and getting essential relief. If your spouse suffers from Parkinson’s likely you are called upon to be a nurse, cook, maid, and personal aide several times throughout each day. Without a break you will eventually end up facing significant burnout. With respite care, you are making a decision to improve your health and circumstances – and that of your spouse. 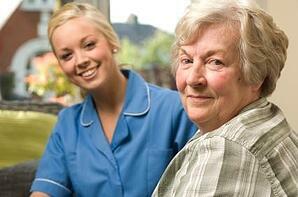 Research shows that respite care helps caregivers keep their loved ones at home longer. With the help of a home care system and home care software like ClearCare, spouses and family members can still stay completely involved in their loved one’s daily care. An extraordinary home care system and home care software program, such as ClearCare, offers an affordable and easy way your family can take advantage of respite care and not feel as if you are neglecting the Parkinson’s patient. Using respite care in combination with ClearCare’s home care software and home care system gives you an essential break from stressful responsibilities and strengthens your ability to continue to provide care to your loved one.